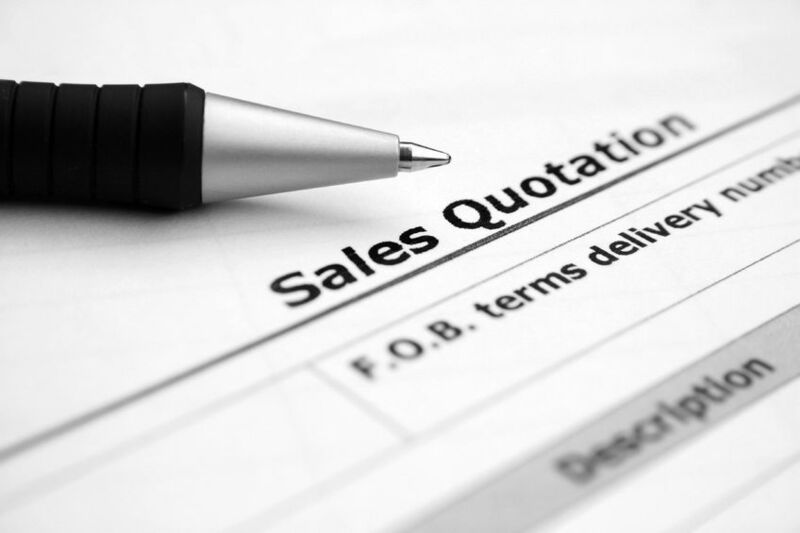 Is your home improvement business struggling to compete with super low quotes? If your customers’ heads are being turned by companies offering the same services for a much cheaper price, you might start fretting about lost opportunities and not closing enough sales. But how do you educate your customers on the dangers of accepting dirt cheap quotes? Well, one way is to publish the dangers of low quotes on your website – the best place to educate your customers with helpful, informative content. You can also use some of the information below in direct response to home improvement sales objections in which customers say they can get a much cheaper deal elsewhere. The cheapest quote doesn’t necessarily mean the they’re getting the best quality materials, services or workmanship – in fact, some less scrupulous home improvement companies have been known to cut corners, which leads to a less than ideal job which could cost more in repairs later down the line. That’s why it’s always best to explain to customers that they should look upon this work as an investment, and pay enough to ensure the job gets done right the first time, with the proper backup, support and aftercare along the way – without paying more than they need, of course. You could even use your website to go into detail about the most common problems with your products and/or services when corners are cut, so they can be fully aware of the risks. If a tradesman gives a cheaper quote saying that he can “knock off the £400 VAT” if paid in cash, it’s clear he intends to break the law by not declaring it for VAT. Despite this, according to a survey by Confused.com, more than one in six people have done this knowing their contractor is avoiding tax. In fact, (from the same survey) as much as 40% of Brits have been offered a discount by their tradesman for paying cash in-hand. This is dangerous, as agreeing to pay less for cash in-hand could actually mean they are colluding in tax fraud – something that costs the UK economy up to £2 billion every year. Paying the cheapest amount possible for a new conservatory, roofing, boiler or any other type of home improvement work is very unlikely to get homeowners a decent warranty or guarantee – especially if they’re paying cash in-hand. So, if they pay a much lower cost than they’ve been quoted by other companies, and then something goes wrong with the work, they could find they’ll be left to pay for a costly repair or re-installation bill without any backup – and the company they paid first time round aren’t likely to help them out. Ensure your customers know it’s vital to choose a home contractor who not only offers a guarantee, but also a third party insurance policy. This policy has to be paid by the company, so this will most likely be reflected in a slightly higher quote. But it’s better to be covered than have to pay extra later on. And finally, some companies may quote homeowners a surprisingly low price for work, but then once the work commences, they realise that there are a few extra charges that weren’t initially determined, adding a few hundred extra pounds to the bill. This is why telling homeowners to ask for a fixed price quotation is so important. Work should always be broken down and itemised so they can see exactly what they are paying for. That way they’ll know exactly how much the work is going to cost – with no nasty surprises – before any work commences. I hope you’ve enjoyed reading this blog post about how to educate your customers on quotes that seem “too good to be true”. It’s an issue that bothers many companies in the home improvement industry, but you may feel reassured in that usually a great reputation and quality workmanship will speak for itself. One of the best ways to help educate your customers on these issues is with an informative blog on your website, which you can pack full of helpful content such as the average cost of your services, and the factors that can affect cost – as well as the dangers of super cheap quotes. Do you think the reasons above are enough to deter your customers from super low home improvement sales quotes? Let me know what you think in the comments section!